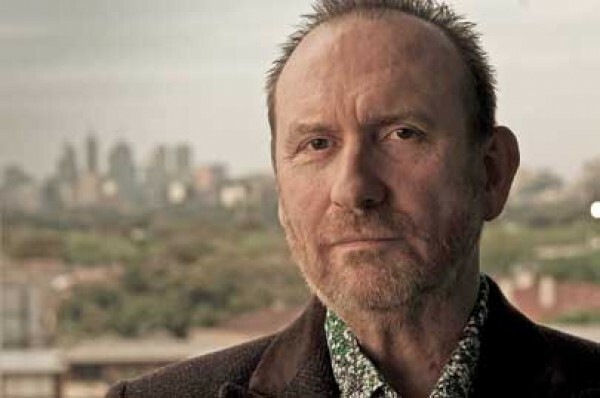 Colin Hay is on the move, driving away from his home in Topanga Canyon, Calif. His momentum is his own, he says, not necessarily—as some perceive it to be—a boost from his appearances on Scrubs almost 10 years ago. He’s moving on the strength of his music, whether it’s his string of hits with Men at Work during the 1980s or the 11 solo albums he’s released since 1987. In 2004, Zach Braff included Hay’s solo song “I Just Don’t Think I’ll Ever Get Over You” on the Grammy-winning soundtrack to Garden State. That same year, Hay appeared—again, at Braff’s urging—in the first episode of Scrubs’ second season, “My Overkill,” performing Men at Work’s hit “Overkill.” Both make you think how Hay’s introspective, spot-on songs would make great soundtrack fodder—and whether he might enjoy scoring films. This is post-Men at Work. The band, of course, toured extensively behind No. 1 album Business as Usual (1981), which contained the hits “Who Can It Be Now?” and “Down Under.” They also covered a lot of ground with Cargo (1983), which spawned the hit “Overkill” and “It’s a Mistake.” It was after the band broke up in 1986 that Hay decided to hit the road. Hay remained with Columbia Records for his 1987 solo debut, Looking for Jack, and its 1990 successor, Wayfaring Stranger. By 1992, he’d gone completely independent, but kept churning out masterfully crafted albums. But this was before being indie was as (comparatively) easy as it is today. Now, Hay is touring behind his 11th album, Gathering Mercury (Compass Records). Like its predecessors, the album reveals Hay as a crafty lyricist with a knack for melody. And although you’d never call the Men at Work material immature, Gathering Mercury is definitely older and wiser music. Hay balks at considering how he’s progressed as a songwriter, however. “I don’t see a point, to be honest,” Hay says. “The songs I wrote in Men at Work, I’m proud of them and what we achieved.” Songwriting, he says, is simply what he does. Wednesday, April 17 , 8 p.m.